Our beautiful Snowdogs went under the hammer on 12 December 2017 at our Live Auction Event sponsored by Hodge. We are genuinely humbled by the overwhelming response to our Snowdogs, and all of the truly incredible support that we have received throughout the public trail. At our Live Auction, together we have raised an amazing £121,300! A truly staggering amount. The money raised from the auction will support Tŷ Hafan, the Hospice for Children in Wales as we continue to provide vital care and support to families with life-limited children. We have made huge advances in the care that we’re able to offer, allowing us to reach over 550 families of life-limited children to date. We are now supporting more families than ever before, with our care reaching into families’ homes and communities right across Mid and South Wales. The funds raised from this Auction evening are continuing to help make this possible. Jon Collingbourne of Collingbourne Properties and Brightwells Auctioneers & Valuers Equine, Fine Art and Antique auctioneers of Leominster took charge of the auction proceedings and helped the Snowdogs find their new homes in time for Christmas. So thank you again – we simply couldn’t have done it without you. All profit from the auction will support the vital work of Tŷ Hafan, the hospice for children in Wales. Bidder Registration from 6.00pm (please bring two forms of ID). Unable to make it on the night? 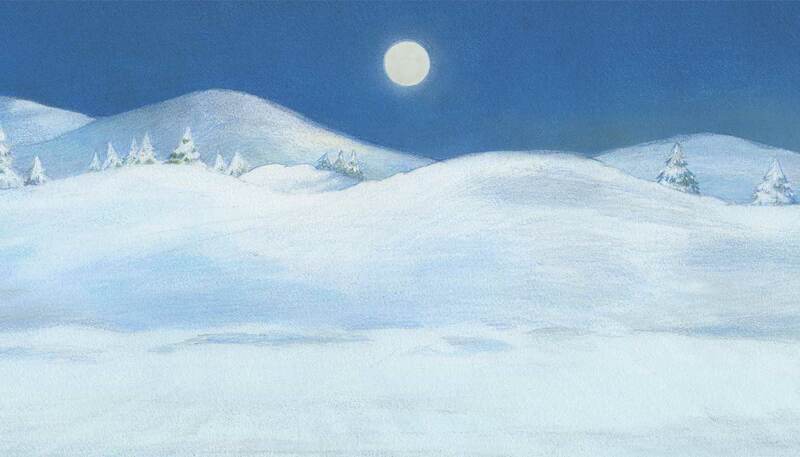 – On the night you can bid for your favourite Snowdog online: Bookings for Internet bidding are now open. Please click here. Can’t quite decide on which Snowdog to bid on? Checkout the full list here or pop along to the Farewell Weekend at the Capitol Centre, Cardiff on 8, 9, 10 December where all of the Snowdogs can be viewed together. We welcome your paw-ticipation in what will be a phenomenal end to an incredible trail. Our auction will take place in the Marriott Hotel, on Mill Lane, Cardiff (CF10 1EZ), on the evening of Tuesday 12 December 2017. The drinks reception and Snowdog preview will open at 6pm with the auction running from 7:00pm until approx 10:00pm. All interested bidders aged 18+ are welcome to our auction which will last approximately three hours. We hope to fill the auction room with people who are going to bid so that we can raise lots and lots of money for Tŷ Hafan Hospice! For families, or for people who are not able to bid but are interested in seeing the dogs all together, we advise that our Farewell Event is more suitable. 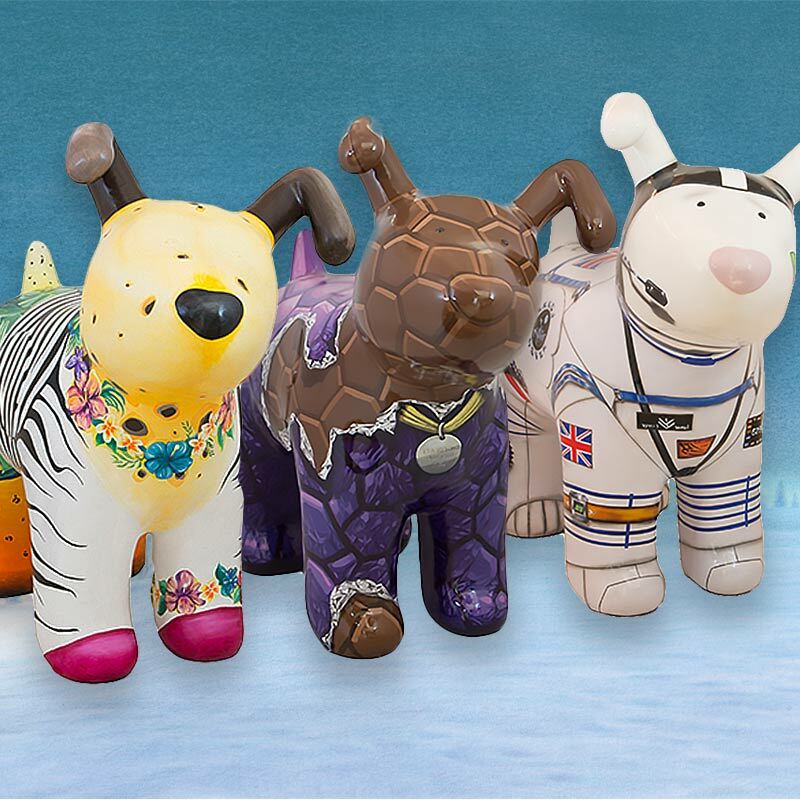 The Farewell Event takes place over 8, 9 and 10 December at Capitol Centre, Queen Street, Cardiff where all of the Snowdogs and Snowpups will be on display! How much is it to attend the auction? Tickets are £15 and include a Snowdogs: Tails in Wales souvenir guide, plus arrival drinks and canapes. All proceeds from the sale of auction tickets go to the Tŷ Hafan Hospice. Tickets can be purchased by clicking here or call the Snowdogs team on 02920 532302. How do I bid for a Snowdog? Here is a Bidders Guide to help you. I can’t get to the auction, can I still bid? Yes of course! – We will have internet and commission bid options, please take a look at the auction page of our website for all the details www.snowdogstailsin.wales. You can bid from anywhere in the world by registering for internet bidding. What is a commission/ proxy bid? If you can’t attend the auction you can still take part in the bidding by completing a proxy bid form, pre-selecting which Snowdog/s you would like to bid for. You will also be required to provide a copy of two forms of ID, ie. your passport/ driving license and a recent utilities bill. A member of the auction team will be authorised to bid on your behalf to your specified limit. If you are successful with your bid you will be contacted after your chosen lot has closed to confirm your preferred payment method. Please contact snowdogs@tyhafan.org for a proxy bid form. If my bid is successful, how do I pay for my Snowdog? A Card Payment system will be available on the night, where most major debit and credit cards can be accepted. Unfortunately we CANNOT take American Express cards. Alternatively we can issue an invoice to be paid on receipt. Card payments that exceed £20,000 can only be made by the cardholder in person. Please read the Guide for Bidders and Terms of Business documents for further information regrading making payment. If I win, how will I get my Snowdog home? You will need to arrange transport of your Snowdog on the auction evening. You can either arrange to pick up your Snowdog from the Marriott Hotel yourself on the auction night, or through our transport partner, Great Newra Transport, who can arrange delivery for you. The Transport team will be available on the night to confirm delivery costs and to take bookings. 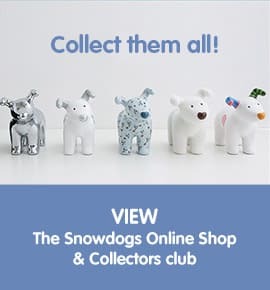 Please note the size of the Snowdog, if you are planning on collecting the Snowdog yourself, they will NOT fit in a car. Delivery costs will need to paid immediately and delivery taken before Christmas. For London deliveries we will add a small premium of £25. The prices include fuel and all other expenses, including tolls etc. What size is the Snowdog? Each Snowdog measures 1200mm length, 750mm width and 950mm height. The weight is 44kg. The concrete plinths used during the trail do not come as part of the Snowdog Sculpture, they are however available to buy separately if you plan to display your Snowdog outside or in a public area. Concrete plinths are £100 + VAT plus delivery. Each plinth weighs 600KG. What are the Snowdogs made from? The Snowdogs are made from a mixture of class II fire retardant laminating resin and chopped roving fibreglass over an initial brushed – on layer of gel coat. How much will the Snowdogs be sold for? There is no way of knowing how much each sculpture will achieve. However, if you are saving up for a Snowdog, based on previous similar trails, we expect (and hope) them to sell for £4,000 and upwards. Will my Snowdog be insured? Sculptures are covered by Tŷ Hafan Insurance until delivery/collection of the Snowdog has been made. After this time it becomes the responsibility of the buyer to insure their purchase. Is there car parking available at the Marriott Hotel? No. However, there are numerous local pay and display car parks within Cardiff city centre. The nearest car park is St David’s multistory car park, evening parking – 5pm to 9pm: £2. This Car Park is a six minute walk from the Marriott Hotel, Cardiff. Will I pay VAT or commission on top of the hammer price? The auction is a fundraising event for Tŷ Hafan Hospice Ltd. There will be no VAT added to the donated auction value of each Snowdog. The hammer price you pay will be exempt of VAT and so if you are paying through a company please note that VAT cannot be reclaimed on the purchase price.